I found this recipe by Del Sroufe that looked really delicious. 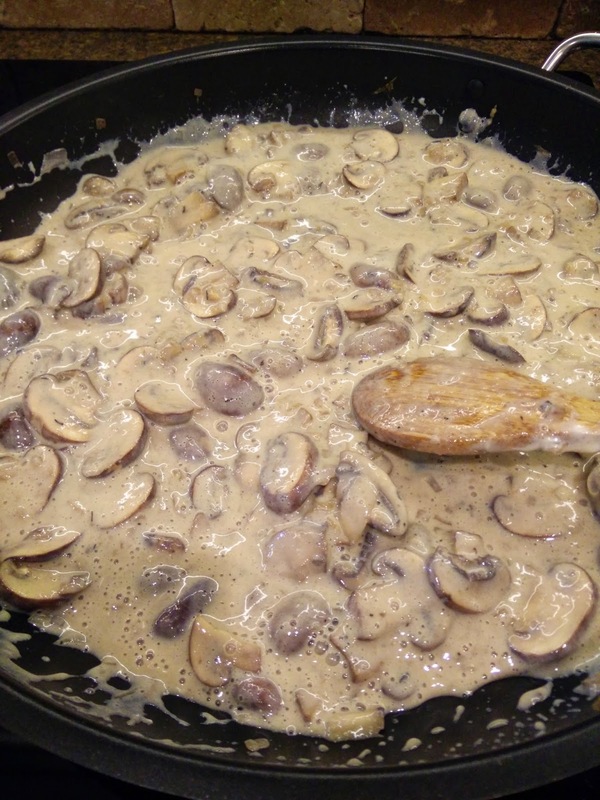 I made a few modifications from the original recipe that I found on the Forks Over Knives website, and my whole family loved it (plus, it was easier and quicker to make than the original recipe). I was skeptical that the homemade tofu sour cream was going to work in the dish, but it was outstanding! 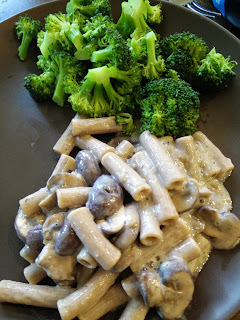 It was super creamy! Here is the original recipe from the FoK website and below are the modifications I made. 1) I used dried herbs instead of fresh (because I didn't have them!). 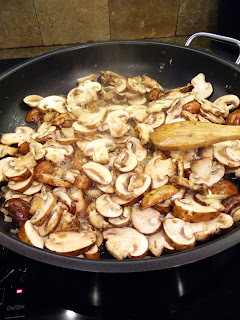 2) I used baby bella mushrooms instead of portobello mushrooms. 3) I didn't have the dried porcini mushrooms, so instead, I added an additional container of baby bellas (24 ounces total). 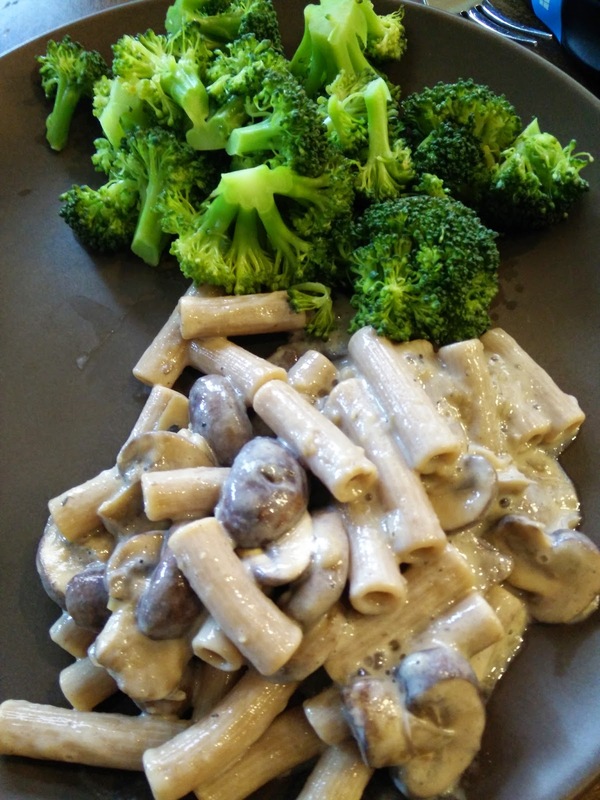 4) Instead of using fettucine, I used Jovial brand of Einkorn wheat rigatoni noodles instead (2 oz. has a whopping 9 grams of protein).